In What Photography Is, James Elkins examines the strange and alluring power of photography in the same provocative and evocative manner as he explored oil painting in his best-selling What Painting Is. In the course of an extended imaginary dialogue with Roland Barthes's Camera Lucida, Elkins argues that photography is also about meaninglessness--its apparently endless capacity to show us things that we do not want or need to see--and also about pain, because extremely powerful images can sear permanently into our consciousness. 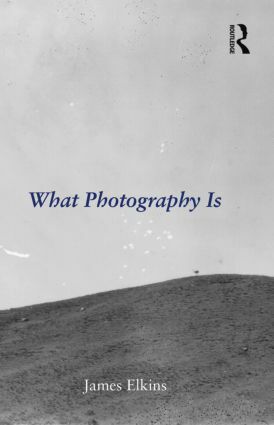 Extensively illustrated with a surprising range of images, the book demonstrates that what makes photography uniquely powerful is its ability to express the difficulty--physical, psychological, emotional, and aesthetic--of the act of seeing.